Save Hollygrove Market & Farm! "Established in 2008, Hollygrove Market & Farm (HMF) was begun by several nonprofit organizations to bring fresh produce to the underserved Hollygrove neighborhood of New Orleans in the wake of Hurricane Katrina. HMF is a unique model of local food sourcing, distribution and production. We are located on one acre of ground comprised of a retail market, community garden space, and two commercial urban farm plots. We are open daily and, in addition to produce, we sell dairy and eggs, meats, breads and baked goods, pantry items, prepared foods, and more – all locally sourced. We also offer home delivery and wholesale to local restaurants and organizations. By sourcing solely from a network of over 100 small, family farms and food businesses located within 200 miles of New Orleans, we support our local agricultural system. We connect residents to the producers of the food they are consuming while creating jobs and strengthening the local economy. 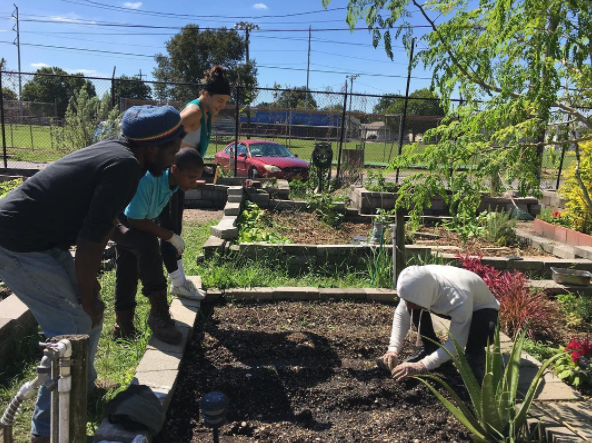 While we aim to increase fresh food access to all of New Orleans, we strive to increase access to low income, food insecure households by offering discounts and utilizing other outreach methods. Our farm consists of plots maintained by community growers from the Hollygrove neighborhood and beyond, fruit and vegetable demonstration beds, and two large plots farmed by experienced, commercial (mentor) growers. Our farmers grow for home consumption and to sell at the market. The farm also serves as a demonstration site for visitors interested in adopting environmentally sustainable practices. We host workshops on topics such as home vegetable gardening, composting, raising chickens, bee keeping, food preparation and cooking, and more! We serve brunch every Sunday and conduct individual, group, and school tours and a “bioblitz” (Urban Ecology Exploration). Our outdoor space is available for parties and special events. Visitors are always welcome."